You just never know what's coming next .... 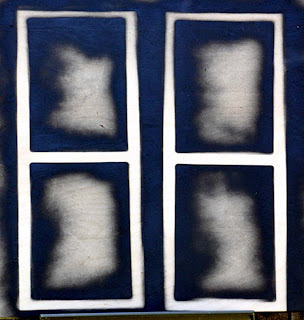 I picked this up outside the finish room last week, propped it up on top of the electric meter and gave it a name .... 'My Four Best Friends' ... it's actually a piece of plywood Trevor put down under some frames that he sprayed black before he put speaker cloth on them. We all liked it .... David Smith made a number of paintings by arranging steel scraps on paper and spray painting them ... I've seen some of them in person and they're very cool. 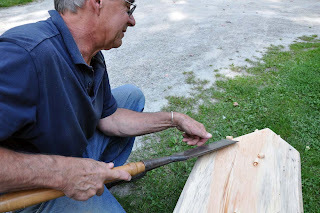 Later that week, while trying to get a 'natural' edge on a seat plank for a stool I'm fooling around with, some really fine shavings came of the process. 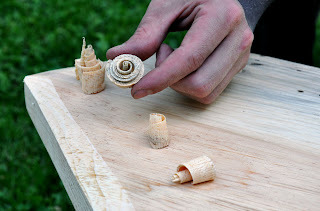 You need a sharp slick and a consistent 'push' but the pine shavings curl up into amazing shapes ... Click the pictures to enlarge them and have at it yourself .. You might be able to get the same result with your largest chisel and judicious use of a mallet. It can be amazing what you find when you're not paying attention. Champagne was a accident. Silly Putty is a by-product. 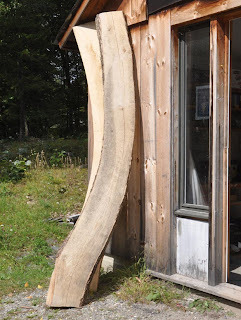 As for the curved pieces of ash, I'm seeing an offset X pattern - like a slightly open pair of scissors. You could go with it as a bench, or maybe add a different species of wood as a "panel" between the arms to make a table.